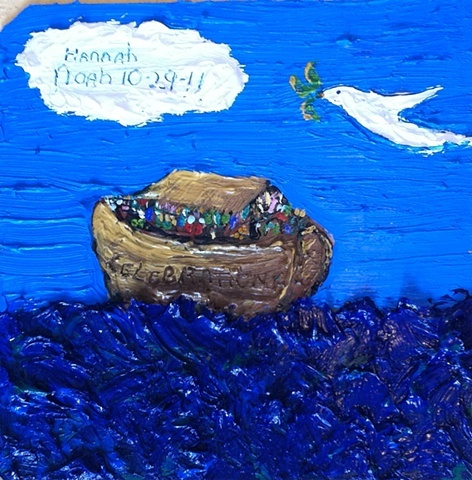 This image was created in honor of Hannah Pescha's Bat Mitzvah on October 29, 2011, at which time she will be reading the Torah Portion entiled "Noah." Hannah was involved with two service projects: Celebrations - a program which allows special needs children to attend Hebrew School and Peoples Emergency Center (PEC), which Hannah volunteered to help children with homework. "Celebrations" and "PEC" can be found in the image.